Is Sony about to overtake the Google Pixel 3, Galaxy S10, and new iPhones with a killer 5G Xperia? Leaked CAD renders and a 360-degree video depicting an absolutely stunning Sony Xperia XZ3 smartphone have hit the internet. 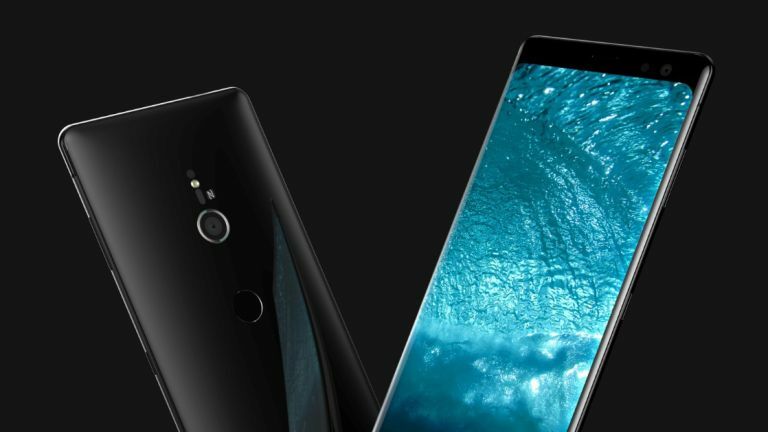 The leaked material depicts the incoming Sony Xperia XZ3 flagship with a rear-mounted circular fingerprint scanner, single-lens camera system with LED flash, tall 18:9 display, reflective backplate and a USB Type-C charging port. Interestingly, while the images show physical volume and power buttons, no 3.5mm headphone jack can be seen. The 360-degree XZ3 video also reveals a top-mounted SIM and microSD card port, as well as a device packing a near bezel-less screen, which curves towards a thin silver frame on all four sides. These leaks come courtesy of tech tipster Steve "@OnLeaks" Hemmerstoffer over on the tech site CompareRaja. And, judging by what we think we know already about the new Xperia flagship's specs, with rumours suggesting that it will pack a 5.7-inch Full HD+ display, Qualcomm Snapdragon 845, 6GB of RAM, 128GB of storage space, a monstrous 48MP rear camera sensor and, tantalisingly, potential support for 5G connections, then Sony's Android phone rivals should be worried. And, considering that all current leaks and rumours point to a dramatic, show-stopping reveal at IFA 2018 in Berlin, Germany, it looks like Sony could be about to drop one of the best phones of 2019… in 2018. Indeed, if the Xperia XZ3 does launch at IFA 2018 and it is this well equipped, then the Google Pixel 3, Samsung Galaxy Note 9, LG V40 ThinQ, and even Samsung Galaxy S10 suddenly will be facing a powerful new rival that both delivers Sony's typically pioneering dose of world first technologies (as witnessed on the Xperia XZ2), and also none of the Xperia range's usual flaws, which tend to centre on its bezel-heavy aesthetic. Would you buy a 5G Sony Xperia XZ3 that looks like this? And, while nothing official has yet been confirmed by Sony, a brand new XZ3 flagship that looks this good and is equipped this well tallies perfectly with its call to action back in May, where the maker admitted that it had "not been improving its product lineup fast enough" and needed to innovate rapidly in the smartphone sector to halt diminishing sales. Sony highlighted key areas it needed to improve and innovate in when delivering its next flagship phone. A 5G Xperia XZ3 that looks like this would tick many of those boxes. It's focus areas to achieve this? They were numerous, as can be seen above in a slide taken from its action plan, but key among them were design, camera and 5G. A 5G Xperia XZ3 as depicted in the renders and video above would go a long, long way to achieving its goal.